Joint pain can range from the occasional twinge in an elbow to agony that can leave you bedridden and unable to walk. Pain is universal – we all suffer from it at some point. Fortunately, a lot of time and money has gone into research into pain of all kinds, and joint pain in particular. This has led to a range of treatments. The first step in managing pain is to consult your medical practitioner for a proper diagnosis. 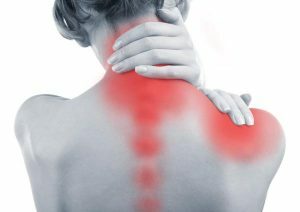 Pain can be misleading; sometimes the pain we feel in a particular joint results from compensation for an issue in a different part of the body. Therefore, the pain is a symptom of a condition, not necessarily something manifested by the condition itself. Medication is a common approach to managing pain. However, drugs can have severe side effects, and some individuals are adversely affected more than others. In cases of chronic pain, taking drugs on what could be a daily basis for a long period of time can have serious consequences. Here are three options for pain management that don’t involve medication or invasive medical intervention. Laser therapy has found a home in the treatment of arthritis. Also called laser acupuncture, this treatment, involves using a laser on the skin. The laser light is intense enough that it can penetrate deep into the flesh. The process is painless. For those who haven’t tried acupuncture due to a fear of needles, it is entirely non-invasive. Osteopathy focuses on the musculoskeletal system – the interaction between muscle and bone – so it may be a perfect fit when treating painful joints. Your osteopath will tailor therapy to your specific condition, physical form, and lifestyle. Kinesiology, literally the “science of movement,” is similar to osteopathy, but tends to be much broader, looking also at spiritual aspects contributing to pain. It looks at imbalances in muscles which contribute to physical pain, but also to mental and spiritual discomfort. Our Hong Kong Central clinic offers all three of these joint pain treatments in our easy-to-reach location. We can also advise you on nutritional changes and supplementation that may help reduce inflammation leading to pain in the joints. Pain is an issue regardless of how large or how small the source of the pain is. Joint pain in fingers can be just as debilitating as pain in a knee or shoulder. If you suffer from chronic pain, the first treatment method you attempt may not work for you. Don’t give up. You may find that you need to try several before you find the one that works best for your particular case. The important thing to remember is, there will be a solution – don’t give up and let joint pain steal away your quality of life.